Richard Branson gets paid compensation because his Pendolino trains have to perform sub optimally due to inadequate nature of West Coast Main Line. Now, would you credit it, East coast track is not up to standards required by new trains! Aye. Andy seems to be performing well as the region's advocate. Disgraceful how deceitful our politicians can be: claiming budget for transport in North is comparable to that for the South, when the huge budget of 'Transport for London' had been excluded from the latter. And they get away with it! Being not a fit person to hold an office seems to be no barrier to actually holding such office! Are voters ultimately to blame? Advancing their own ideologies at the expense of the well being of the rest of us? I have noticed since Osborne lost his job has Chancellor of yon Exchequer, that this Northern Powerhouse idea, which was his, has slowly been being done away with, no electrification of the trans pennine route and no road tunnel through the pennines, expensive yes, but it would have powered the Northern, East West links. The Yorks&Lincs lass (Keeley Donovan) is also a weather girl, on BBC 'Look North' Local News, though I observe she has been diversifying her activity over the last few years. I guess they eventually want to move on from doing weather forecast presentations. Any proposal in Westminster to spend money in the North runs into opposition from Northern MPs for constituencies that are not recipients, making 'me too' demands as the cost of offering their support. Yields what they called 'Pork Barrel Politics' in U.S. I believe that is the name for a Sunderlander. The north East is a region that I have never visited. I am planning to though. Hoping to visit Kielder soon. 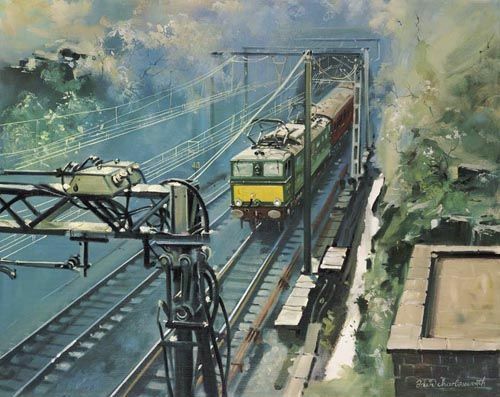 I remember when we did have electric trains running in tunnel under the Pennines. You could get from Manchester to Sheffield quicker than you could get to Rochdale. Keeley Donovan is from Grimsby . I understand she likes haddock and chips with mushy peas . Just thought i would mention . “Makem” I believe it is derived from shipbuilding days. I think the Sunderland shipyard made them and Newcastle finished them hence “ you makem and we’ll tackem” Stand to be correcte on this. Priscus, Word of advice. Learn the lingo before you venture there.A language of its own but gradely folk. Like a drink. Yes, I also have heard that story. No idea whether or not it be the case. My besi friend for some years (See him not a lot since he got wed and moved away) was a Geordie, and yes, he whur a heavy drinker. Used te keep us all awake with endless rounds of 'Blaydon Races, Cushie Butterfield, Geordie Hinney, Lampton Worm, etc etc.............) And then by loud snoring, and could never wake him the following morning! Across the way neighbour also a Geordie. Only when Newcastle lose does he revert to Geordie speak. Don't know if I will encounter much, as location to which I am going, there is no one there. That is why I am going: dark skies. branson says his biggest bugbear is people being late . maybe he should apply this to his train service.